Join Us Patreon Thank you! Wake up to the joy within with Seek The Joy Podcast. Seek The Joy Podcast is your go-to podcast for heartfelt storytelling and conversations on all things self-love, joy, connection, empowerment, Wellness, and spirituality. Through stepping into our authenticity we're reconnecting to the light within and exploring our joy blueprint. listen in - The journey home to who you are starts now. 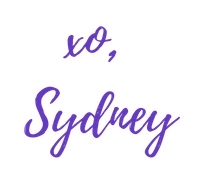 Join Sydney, hit SUBSCRIBE, and let's #Seekthejoy together - every Tuesday! Hey! My name is Sydney Weiss and I'm the creator, host, producer and joy seeker behind Seek The Joy Podcast. Seek The Joy Podcast is an idea I dreamt up in September 2017 while I was waiting for California Bar Results. It was the second time I sat for the exam (p.s. I passed! Hallelujah!) and I was sitting in my apartment reflecting on the last year. The woman I saw in the mirror staring back at me was different. She was calmer, kinder to herself, and happier. She was no longer the panicked negative self-talker she was a year ago. In 2016 I had a slew of health issues - from shingles to appendicitis - and when you couple that with graduating from law school and sitting for the CA bar exam, and not passing, I was a mess. Okay - maybe that's a little harsh, but I just wasn't feeling like myself. When I found out I didn't pass the bar exam in November 2016 the negative self-talk just got worse. I was in a space of shame, anger, and embarrassment, and months of not listening to my body, running myself ragged, and being down right mean to myself took its toll. While staring at myself in the mirror in September 2017, I remember experiencing this moment of insane inspiration. I knew I wanted to start a conversation and create a way to connect with others who had similar stories and experiences. I wanted to build a community and a space to share personal stories, explore our joy, and learn and grow through stepping into our vulnerability, courage, and reconnecting to our authentic voice. Our Motto: Be Love. Seek Joy. Follow The Light Within. This is what I know for sure. We're here for love, joy and connection. We're meant to fully step forward in our authenticity and allow ourselves to reconnect to the light within, to who we are. We're here to remember that we're never alone, that we're connected to all that is, and that life is meant to be lived in color. Through heartfelt storytelling, conversations, and speaking our truth - on Seek The Joy Podcast we're doing exactly that. What is your joy blueprint? What are you here for? These are two questions I've been asking myself, and I've come to realize something. Each of us is born into this lifetime with a mission statement in our DNA. The thing is, it's up to us to uncover it. I’ve learned the way to do that is through seeking our true authentic joy. To uncover that mission statement, to wake up to the joy within, means we have to step outside of our comfort zones, take risks, and have the courage to follow our passions. It means we wake up every day willing to take one more step towards truly being who we are.The chance to be who we are, to step fully into who we are, is the gift of this moment. On Seek The Joy podcast we’re doing exactly that. Through showing up as we are, we’re opening up to the truth of who we are by showing up for ourselves in ways we never thought possible. We're reconnecting to that light within, turning the switch back on, and refusing to dim our light of love, passion, connection and joy. We're uncovering our joy blueprint. To Seek The Joy is to seek the light within. It's a journey, but it's not one we're meant to take alone. When I started Seek The Joy Podcast I had no idea what it would evolve into. Seriously! I'm going to be completely honest when I say I wasn't sure anyone would even listen. As a kid who grew up with a pretty strong lisp and embarrassed by my own voice, I never imagined that at 26 years-old I would take the biggest leap of faith (and courage) and start my own podcast. This has been an incredible journey and truly transformative - mind, body, and soul. Seek The Joy is really just getting started and I'm so excited to continue this journey of connection, love, and joy. This podcast is evolving into exactly what I dreamed it would - a discussion and a conversation about who we really are and what we came here to do. Through authentic conversations and reconnecting to our light and joy - we're showing up for us and really seeking our joy. I’d love to get to know you! Come hang out and join our community by connecting with us on Instagram or Facebook. Thank you for joining me on this journey home to our joy, connection, and that light within that is just dying for us to tune back into it and let it shine! With love, joy and a whole of gratitude. The name of the podcast, "Seek The Joy" was inspired by a bracelet I made in 2014. It's a simple engraved bracelet (which you can see on my instagram feed here) - and it was inspired by a conversation I had with a friend. He said, very honestly, that I needed more joy in my life. My first response was (literally) "um, ok." The truth was, I didn't have joy in my life, I didn't even know where to begin to start seeking joy in my life. I decided I needed a permanent reminder of the fact that I needed to seek joy in my life and really feel it. I ordered the bracelet and the rest is history. P.S. are you ready to get your own!? Seek The Joy bracelets are here! Are you ready to #SeekTheJoy?